On Thursday, 4th September, 2014, I had the great honour to accompany my uncle, Walter Ross, to the Russian Embassy in London, where he received The Ushakov Medal from Mr. Alexander Kramarenko, Minister - Counsellor. The presentation ceremony was very moving and it is no exaggeration to say that we were treated like Royalty by Mr Kramarenko and his Staff. 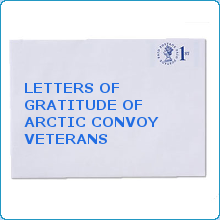 Contrast this to when my uncle was awarded The Arctic Star Medal, by the British Government, which was merely sent to him by post. I represented my farther N W Adams at the Embassy, but would have dearly liked to know if there are any of my father shipmates still surviving from HMS Meynell. He would love to hear from them. Thanks, Jenny Mead on behalf of N W Adams. My father-in-law Arthur Ron Green is very anxious to check he is still waiting for the Ushaskov medal. Can I reassure him that award events are still taking place? Yesterday I attended a ceremony to receive the Medal of Ushakov posthumously on behalf of my father, who sadly died this year. 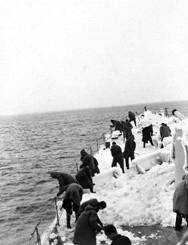 I stood by the side of those Arctic Convoy Veterans still with us and felt great pride in them, my father and in the Russian Government for acknowledging those British heroes for their great achievements in the Second World War. The ceremony was excellent, conducted courteously and respectfully by Alexander Yakovenko, the Ambassador of the Russian Federation and I would like to personally thank Mr Yakovenko and his excellent staff for their superb hospitality. I was priviliged to attend a ceremony yesterday at the Russian Embassy, London, where my 88 year old father, Ken James, was presented with the coveted Ushakov medal, for his participation in the Arctic convoys, 1943-44. I would like to thank the Russian government for their persistence in making sure this medal was awarded to UK veterans. I would also like to thank the Ambassador and his staff for the huge welcome and respect shown to my family. We will remember. 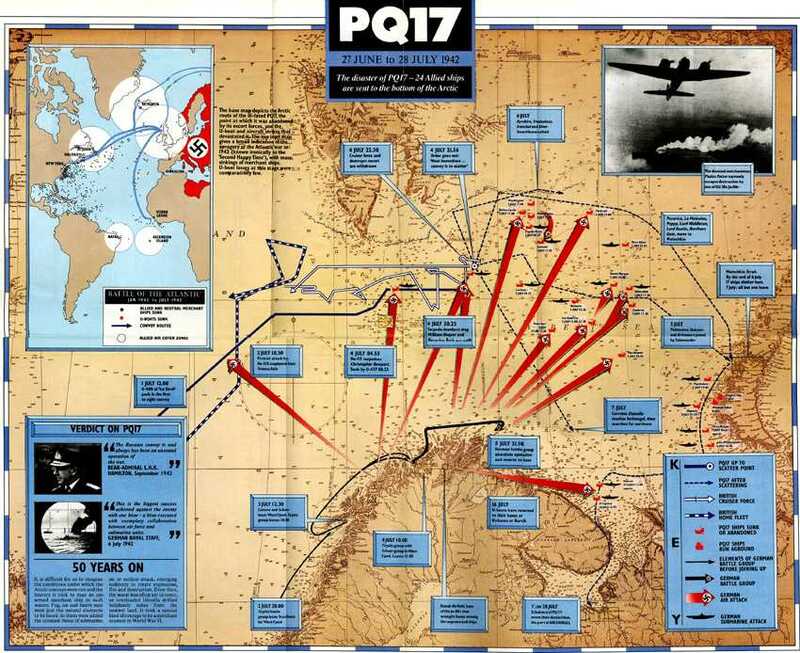 My uncle, Walter ROSS, fears that Russia will withdraw the award of the Ushakov Medal to the Arctic Convoy Veterans because the British Foreign Secretary, William Hague, who my uncle refers to as Egg Head, has stired up so much trouble with Russia over Ukraine. He feels that Hague should stop sticking his nose into things that do not concern us. ( Well thats the printable version anyway.) Can you please put his mind at rest regarding this matter. 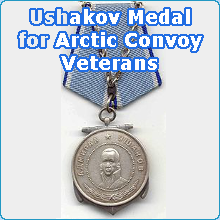 I've just received notice from Artic Star to Russia that the Ushakov Medal has been awarded to British veterans of the Arctic Convoys. However my father's name is missing from the list and I am led to believe that we/he should have applied for it last year. Is there another time scale available for applying? 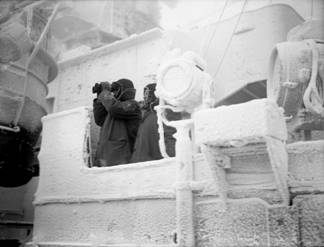 My dad is 90 years old and served on HMS Berwick ib the Artic Convoys and on one occasion they sailed into Murmansk.